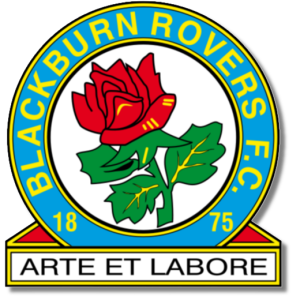 Add your Blackburn Rovers Football Club Badge stampette logo to your Facebook and Twitter page and show your support for The Rovers. The club was established in 1875, becoming a founding member of The Football League in 1888. Prior to the formation of the Premier League in 1992, most of the clubs successes were before 1930, when it had gained league and FA Cup trophies on several occasions. Blackburn we English Premier League Champions in 1995.